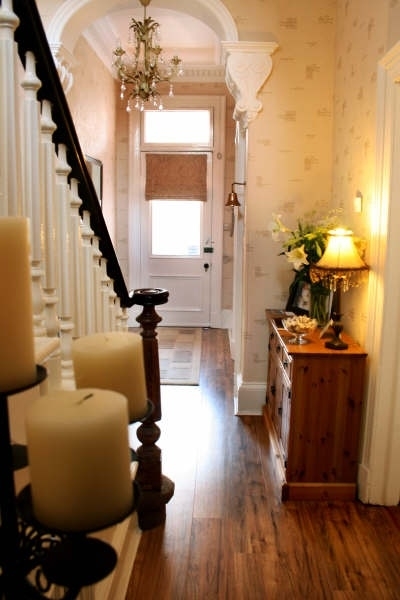 A stylish Victoria guest house perfectly located only 2 mins walk from Ayr town centre and railway station offering elegant ground floor, ensuite rooms with complimentary guest parking. Grange View combines Scottish charm and hospitality with character and style to create a comfortable and homely environment guaranteed to provide a relaxing stay. All our rooms are decorated in a modern style with original features and contain complimentary hospitality tray, Wi-Fi access and digital flat-screen freeview TV's. Our traditional Scottish breakfast uses products which have been sourced from surrounding local Ayrshire producers. Grange View is ideally situated for the golfing enthusiast, wedding guests or visitors wishing to discover Robert Burns, Culzean Castle and Dumfries House. Otherwise if you are simply in need of a relaxing break we have a range of wonderful restaurants and bars within a short walk as well as Ayr's beautiful beachfront for walkers and cinema, bowling and shopping all nearbye for entertainment. Owners Ross and Joanne can help with restaurant reservations, golf bookings, travel arrangements or recommend a wide range of places of interest. Early/late arrival times and early breakfasts can be arranged on request. Golf clubs can be hired at a reduced rate for guests.